Sports company PUMA will launch a sustainable sportswear collection with First Mile, a company which supports low-income communities in Haiti, Honduras and Taiwan by collecting plastic bottles to produce recycled polyester. 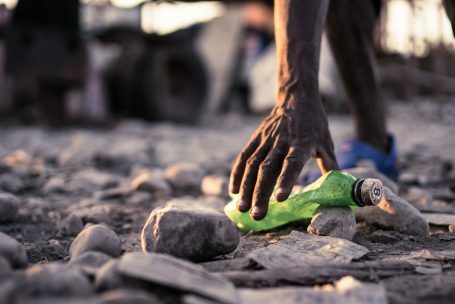 First Mile supports more than 4,000 people in its collection networks, recovering plastic bottles which would have otherwise continued to pollute the streets, canals and landfills of those communities. Using such bottles as a raw material source, First Mile produced more than 300 tons of recycled yarn in 2018. The PUMA x First Mile collection, which will be in stores in 2020, will consist of shoes and apparel featuring utility pockets and outdoor elements. By buying the products, consumers support responsible sourcing and create a positive social and environmental impact around the world. The PUMA x First Mile collection will drop in Q1 and Q2 of 2020.